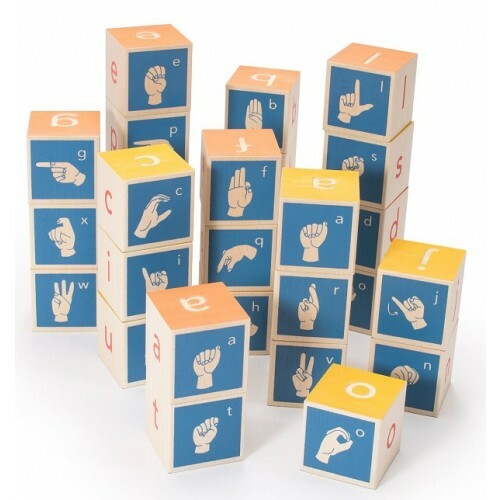 Toys are great for teaching kids! 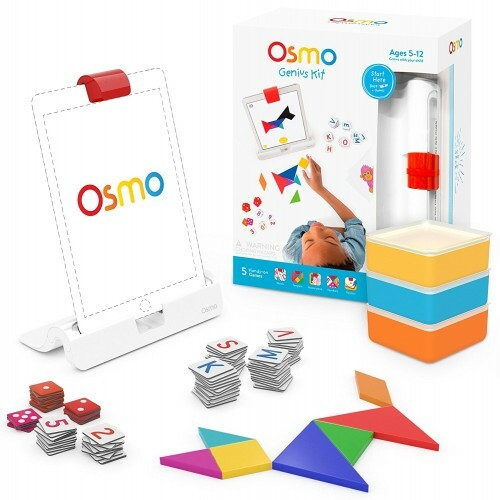 Tell stories, manage your money, or learn about the world -- these fun educational toys will open her eyes to a world of possibilities. 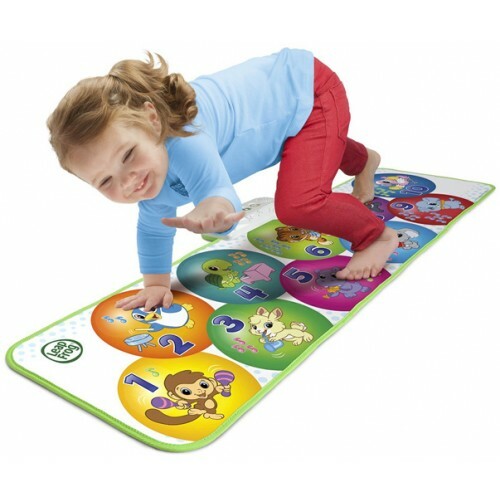 For more great options, check out our collections of Reading / Literacy Toys, Life Skills Toys, and Geography Toys. 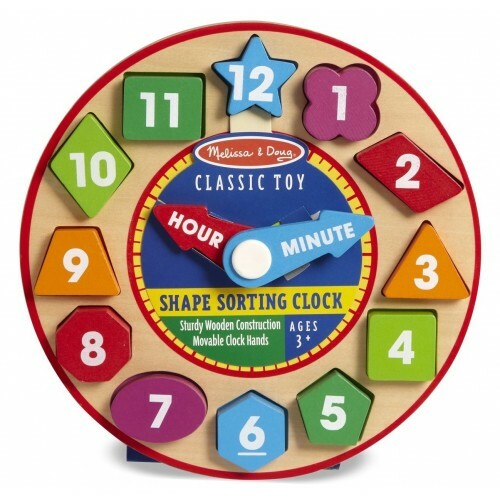 For gifts for science- and math-loving Mighty Girls, check out our Science Toy Picks or our full selection of STEM Toys. 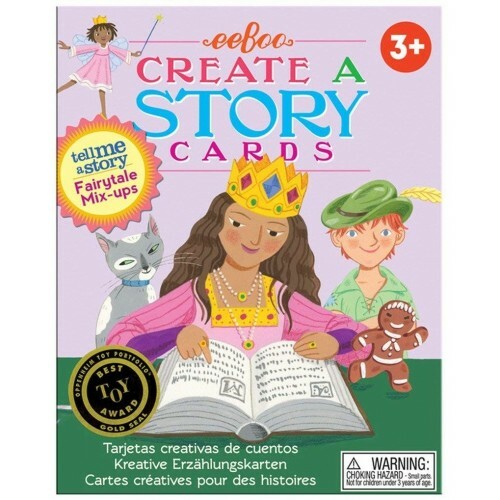 Kids can create their own fairy tales with eeBoo's Tell Me a Story - Fairy Tale Mix-up Cards! 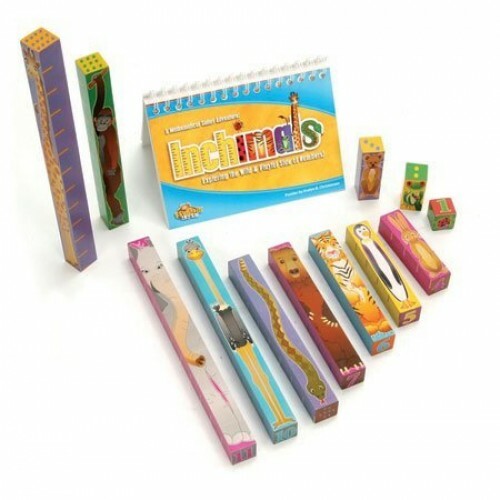 A mixture of delightful fairy tale characters, locations and objects, it can be easily organized and reorganized to form a variety of stories. 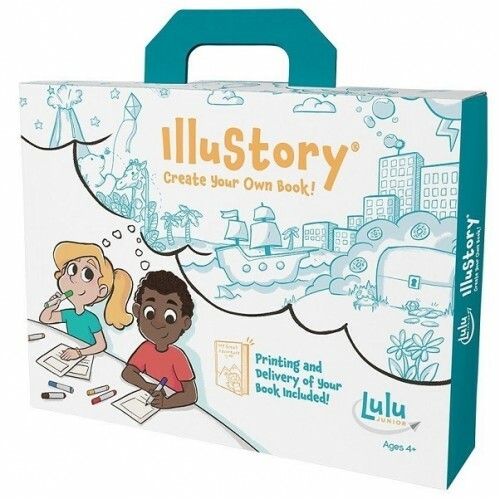 With colorful stickers and beautiful images, this set of 36 sturdy, laminated story cards encourages imagination. And if fairy tales aren't her thing, check out the rest of the Tell Me A Story series. 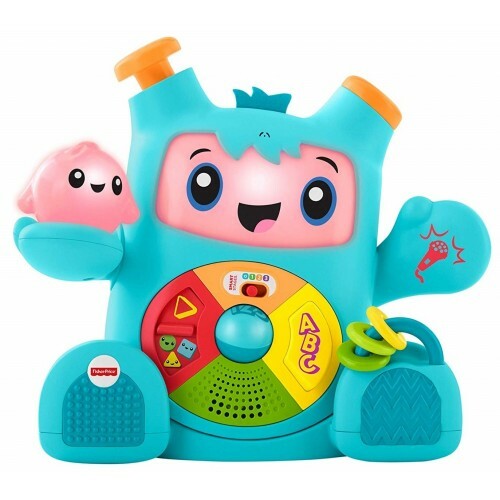 Get ready to rock and learn with this musical octopus from Fisher Price! 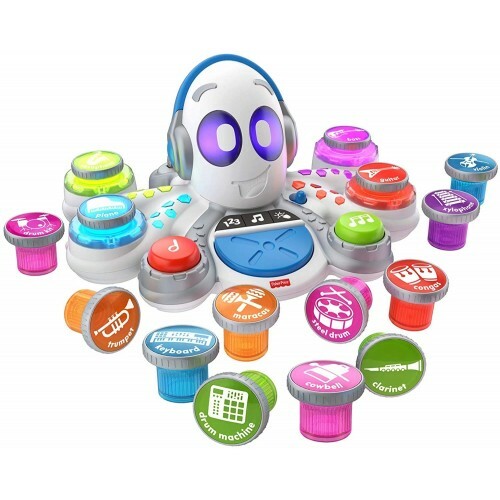 The Rocktopus comes with 15 different musical instruments that kids can add or remove, changing the sound quality until it's just right for their creation. 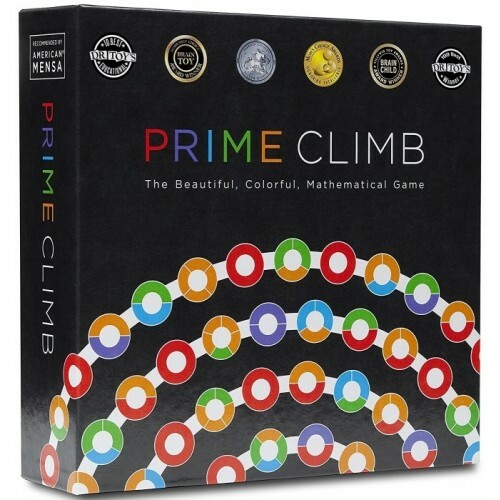 Kids can experiment with patterning in the Math play mode, play a musical game in Game mode, or compose their own masterpiece in Music mode. Then, download the free Rocktopus app so your little maestro can create their own music video! 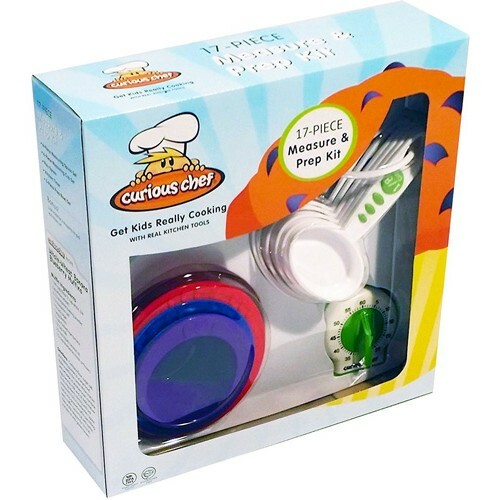 Kids can learn real cooking skills with this 17-piece set from Curious Chef! These are real kitchen tools, scaled for little hands, so kids can actually cook and bake with them. 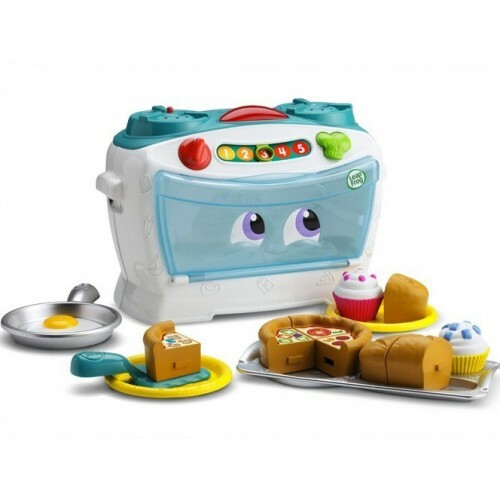 The set includes measuring spoons, measuring cups, mixing bowls, a mixing spoon, and even her own timer. 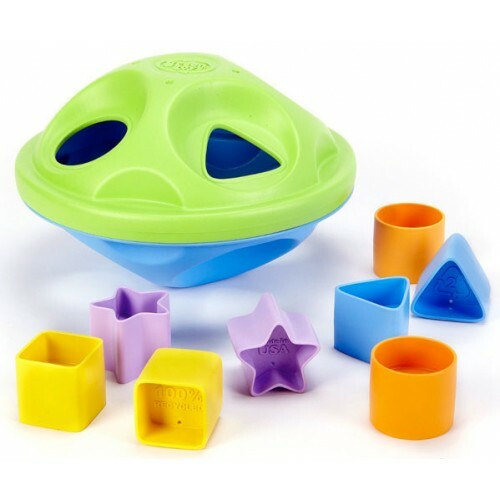 Parents will love that they're all dishwasher safe for easy cleanup after the cooking is done. 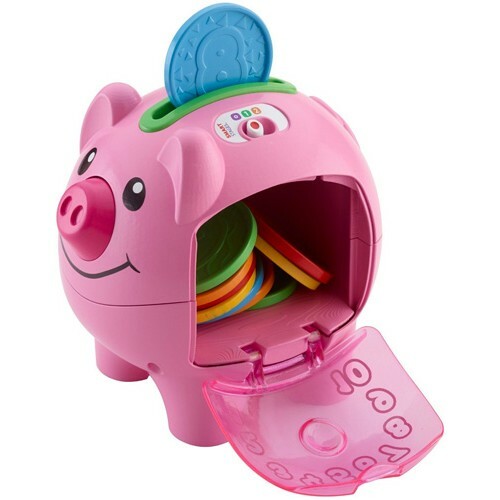 Encourage kids to be smart with money with the help of this divided piggy bank! 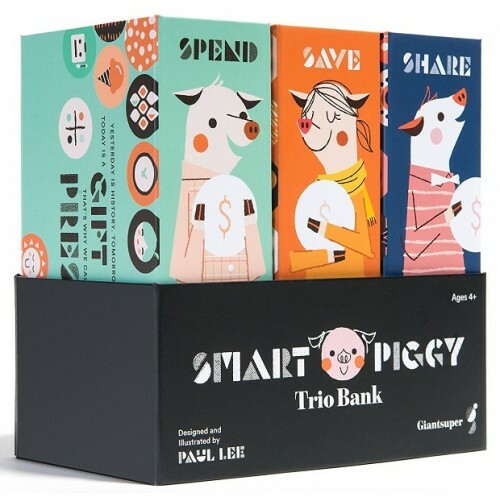 The three compartments of this bank encourage kids to split their money between spending, saving, and sharing, and three separate ledgers help them keep tracks as their funds grow. 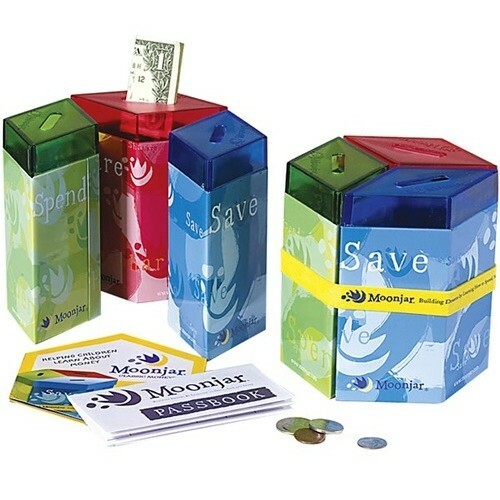 The set also includes a kid's guide to good money management. 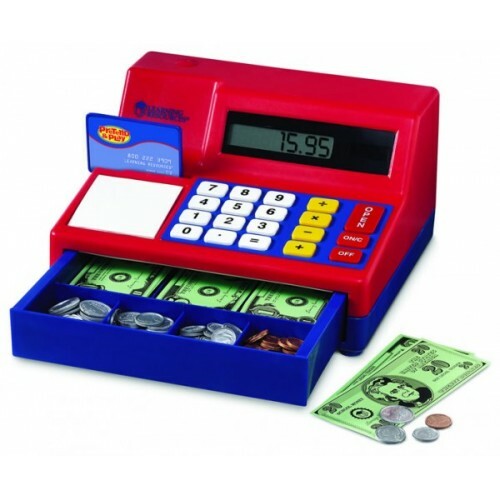 This cash register playset from Learning Resources adds some real math fun to pretend play -- the cash register is a working calculator! Total up amounts with the solar-powered calculator, then take bills and make change with the included play bills and coins. And for the modern shop, there's even a pretend credit card! 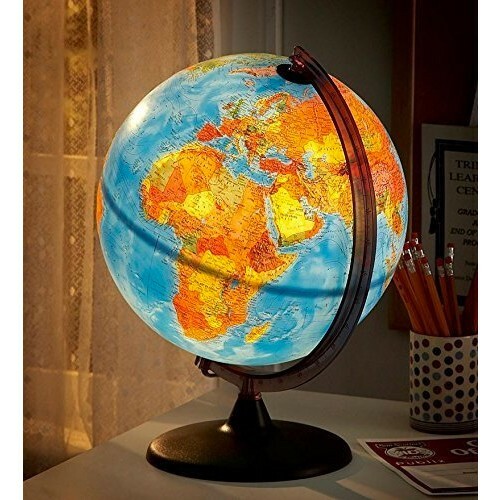 Every household needs a globe, especially one as detailed and versatile as this light-up globe from HearthSong. With a little extra light, every feature is easy to see, including national boundaries and the geographical features that are carved in relief, depicting mountain ranges, rivers, and even undersea geography. 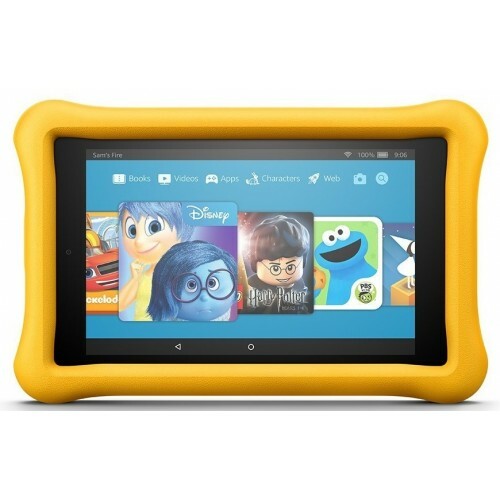 Use it as a teaching tool, for decor, and even as a nightlight for the whole family. Rory's Story Cubes are a pocket-sized creative story generator that are fun for all ages — and now, you can get the full set of story cubes in one bundle, allowing you to prompt endless tales of adventure, daring, mystery, and more. 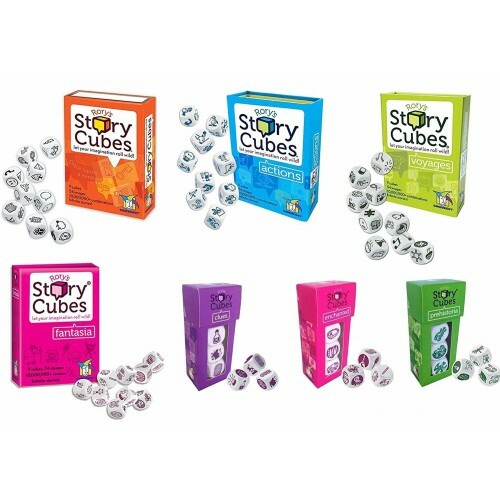 This bundle includes four sets of cubes — Original, Actions, Voyages, and Fantasia, plus three mini sets of MIX Story Cubes (Clues, Enchanted, and Prehistoria), allowing you to create literally millions of stories — imagined by you! 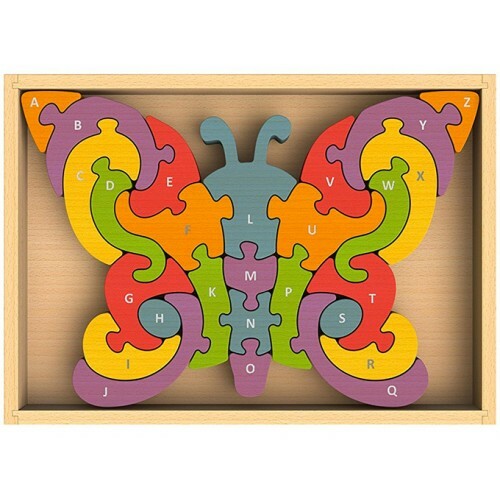 Learn animals and the alphabet in this beautiful rubberwood puzzle! 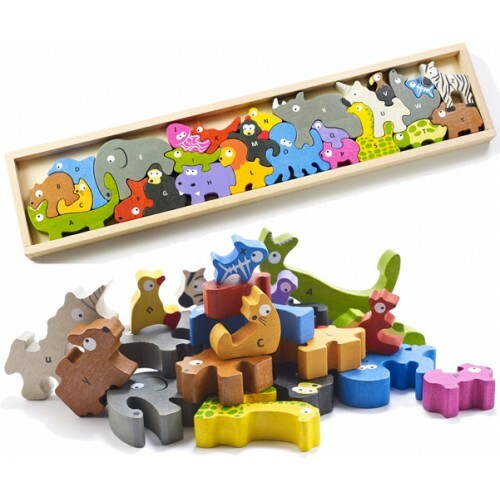 Each unique animal interlocks with the ones before and after it to teach the sequence of letters. 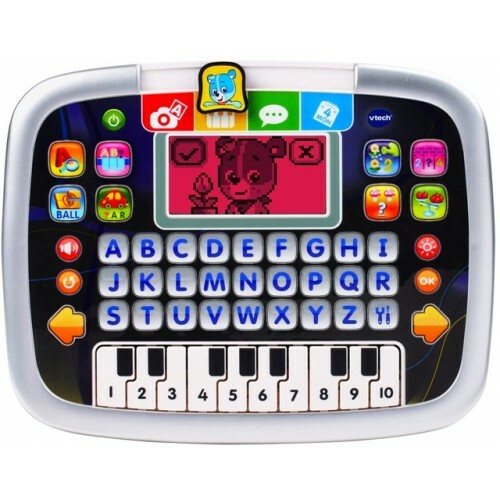 The pieces feature upper case letters on one side and lower case on the other, so kids can practice both. Parents will love the sustainable materials and non-toxic finishes, while kids will love the bright, inspiring animal pieces. 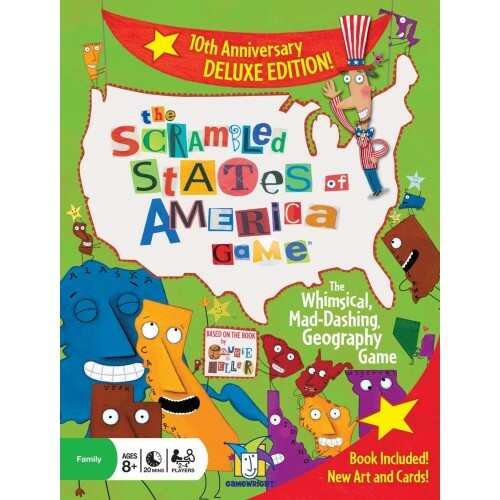 Match US states to Scramble cards in this fast-paced game of observation and quick reflexes! 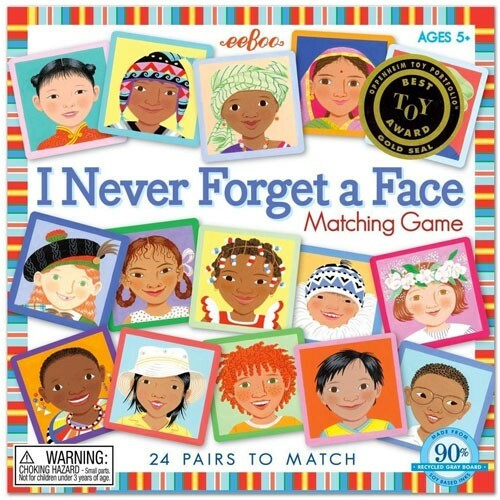 You can match states by color, ABC order, capitals, nicknames, and more. You can also "Go the Distance" by finding a state's closest neighbor. 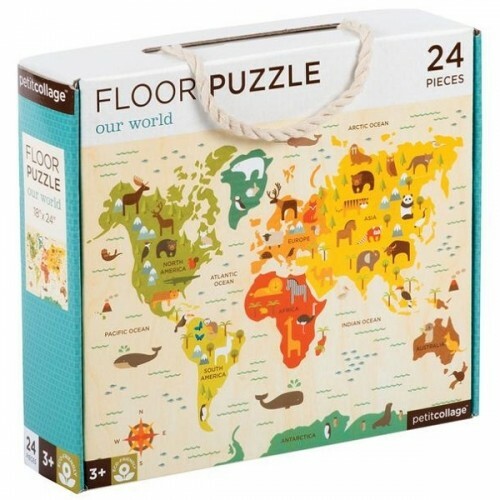 It's a great way to incorporate a little geography into gaming fun! 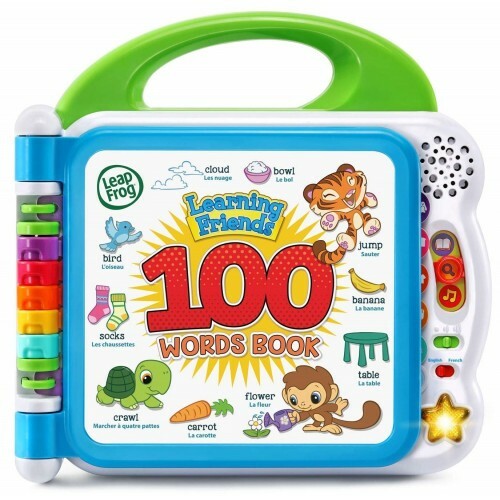 Learn more about words with this friendly sea turtle from Fisher Price! 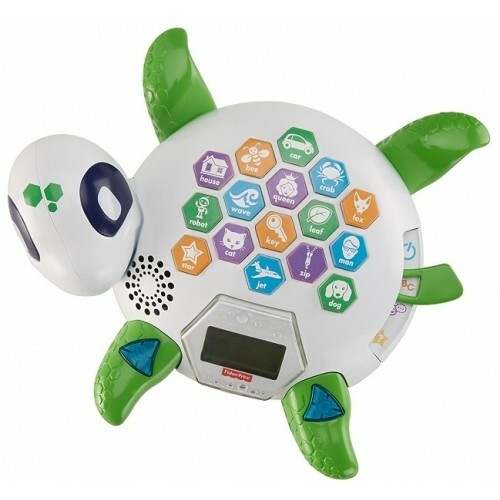 When you push the picture buttons on the turtle's back, the turtle speaks and spells the words, while the LED screen displays them, reinforcing the connection between the sight and sound of the letters. 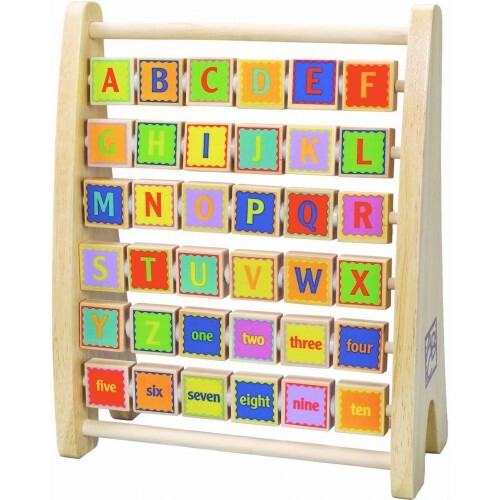 Three different play modes focus on letters and words, rhyming, and games. 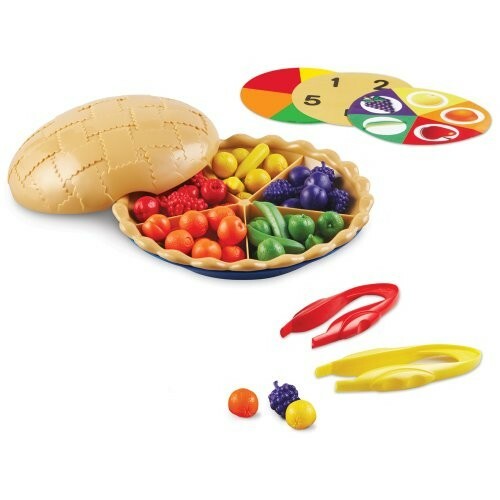 Teach color recognition and sorting skills with these bright bushels of produce from Learning Resources! 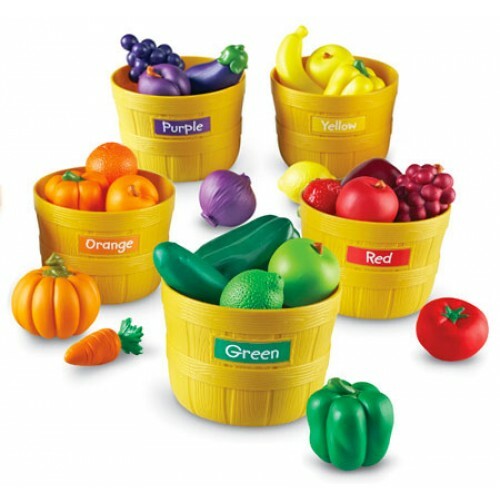 Five baskets allow kids to sort the fruits and vegetables by color: red, orange, yellow, green, and purple. 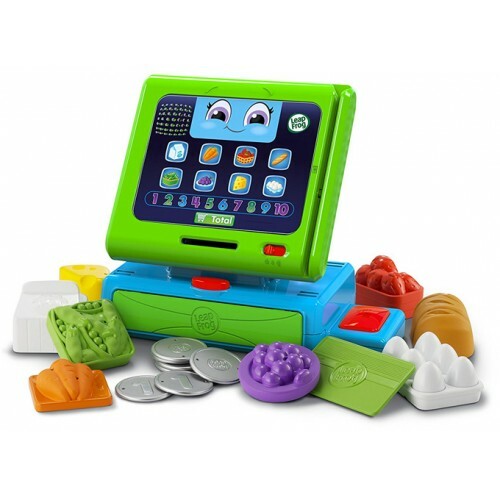 Twenty-five high-quality and realistic plastic food pieces provide plenty of sorting fun -- and lots of opportunity for pretend play. 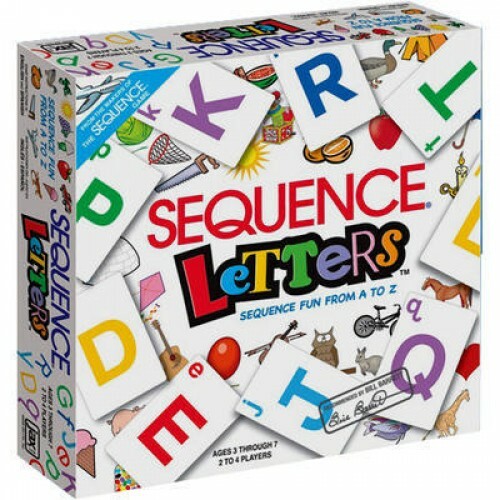 This alphabet-themed version of the game Sequence is a great way to help kids build letter recognition skills. 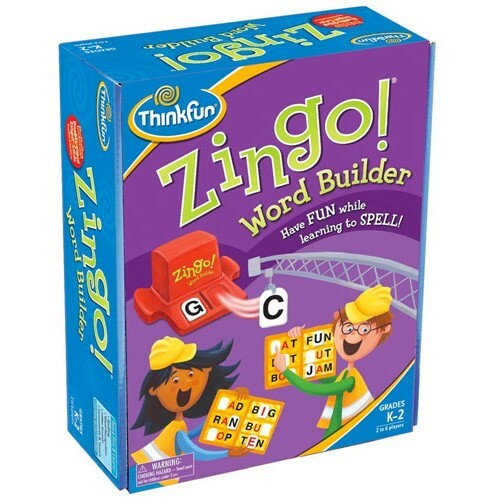 Players identify the letter on their card and match it to an image on the board that starts with that letter's sound. Succeed and put a chip on the board -- but choose carefully! Your ultimate goal is to get a sequence of five cards in a row, so you'll have to be strategic to win. 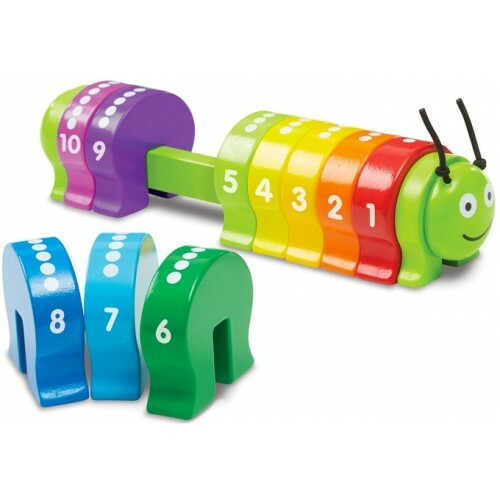 This colorful snail helps kids learn numbers from 1 to 10! BeginAgain's bright and cheerful puzzle pieces also feature Roman numerals on the reverse side. 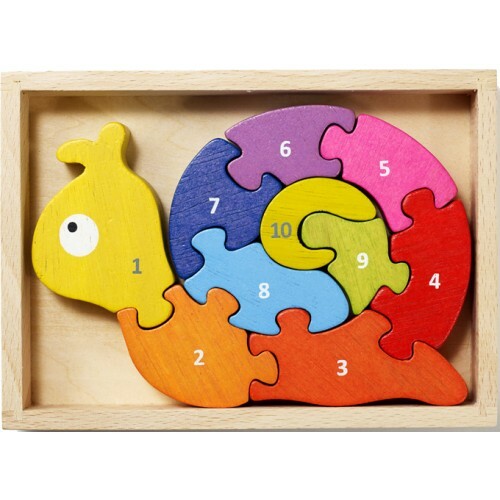 As kids put the pieces together, they'll learn number recognition and build motor skills -- but all they'll know is that they're having fun. 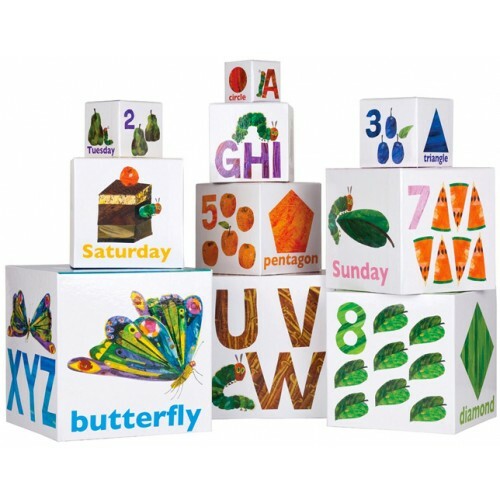 Meanwhile, parents will love that BeginAgain's toys are made from plantation-grown rubberwood and finished with environmentally friendly, non-toxic dyes. What should you do before entering a home in Mali: a) whistle, b) knock on the door or c) clap your hands? You'll answer questions like this as you travel the continents, collecting passports as you go. 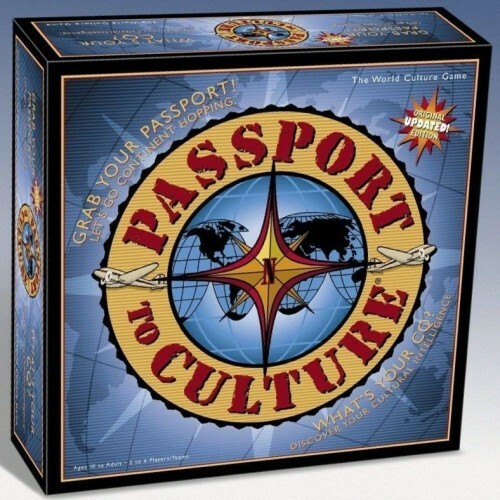 Entertaining questions about people, places, food and drink, gestures, customs and traditions make this a whole new way to take a globe-trotting adventure. 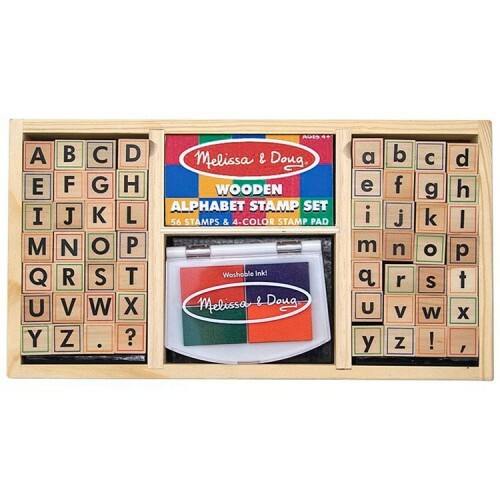 Get stamping with this beautiful alphabet stamp set from Melissa and Doug! 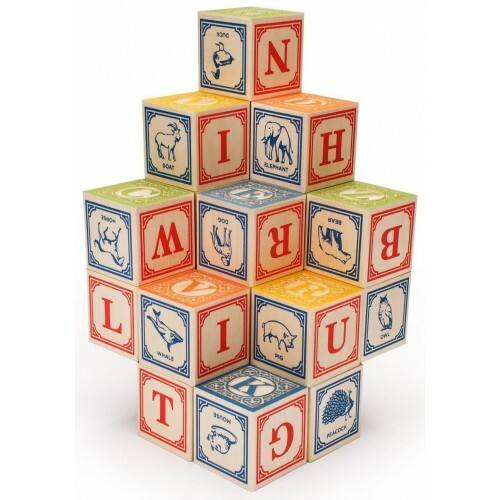 56 block stamps contain the upper and lower case letters, as well as punctuation marks. 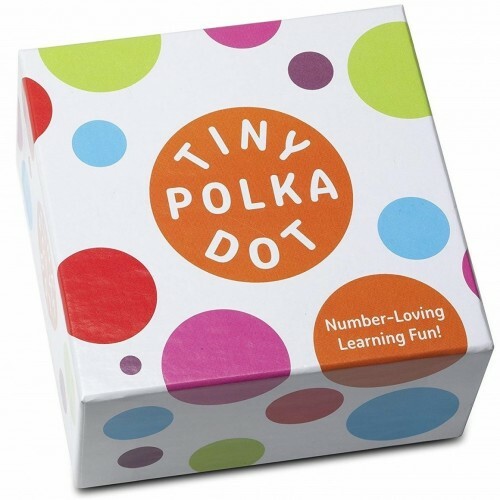 The 1/2" tall letters are perfect for projects and crafts, and still easy for small hands to use. 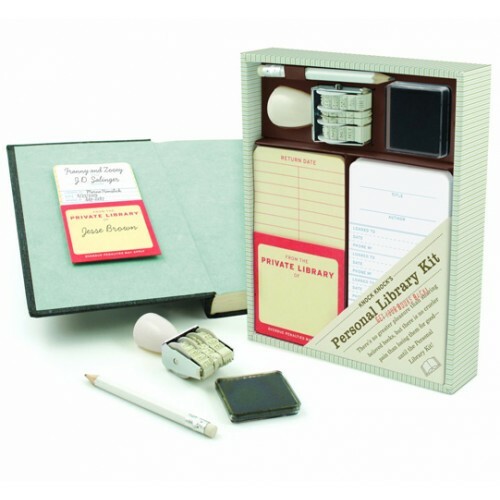 A four-color stamp set with washable ink is also included. 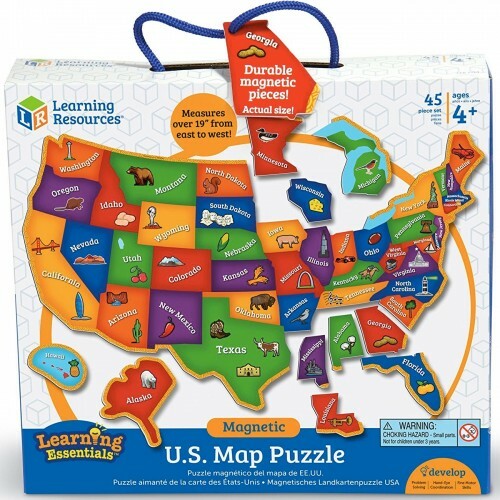 Learn the location of each of the states with this magnetic puzzle from Learning Resources! 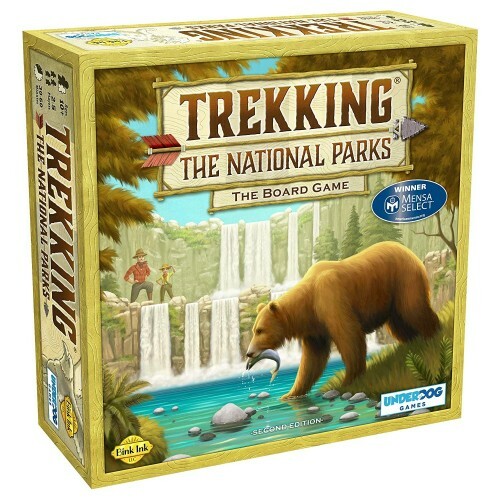 44 pieces depict all of the US states and feature artwork depicting landmarks, animals, plants, and more. See if you can put them together in the right places! 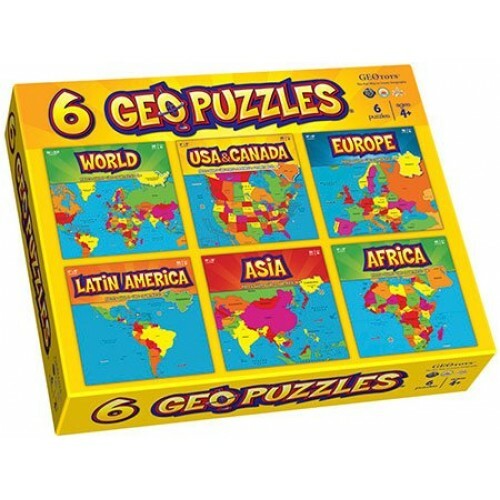 An outline helps young geographers figure out where different pieces belong. 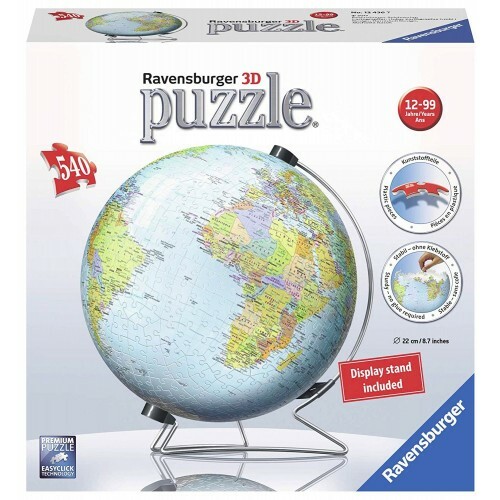 This puzzle will bring a little geography to your fridge or magnet board. Who's up for cupcakes? 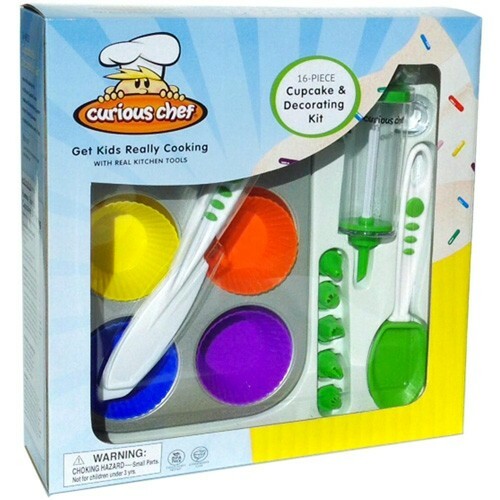 With this 16-piece set from Curious Chef, kids can imagine themselves decorating at a bakery -- or bake for real, since these are also suitable as real kitchen tools! In addition to the tools necessary to bake and decorate cupcakes, the set also includes a sticker sheet and shopping menu. Plus, budding chefs will love the easy clean-up -- it's all dishwasher safe. What's the capital of Alaska? How about the state bird of Maine? Learning about the United States is interactive and fun with this fold-out coloring map. 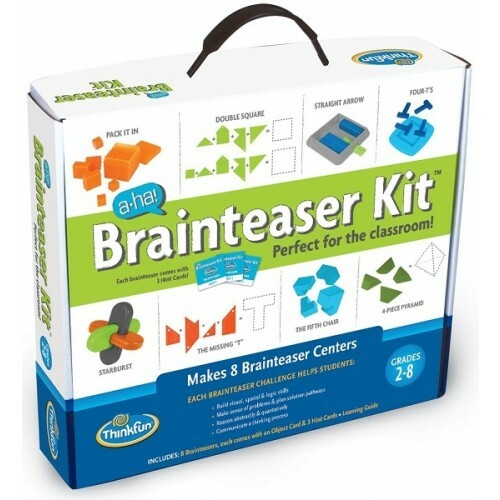 This kit features state facts, brainteasers and picture hunt that help kids develop a deeper understanding of the states within our nation. 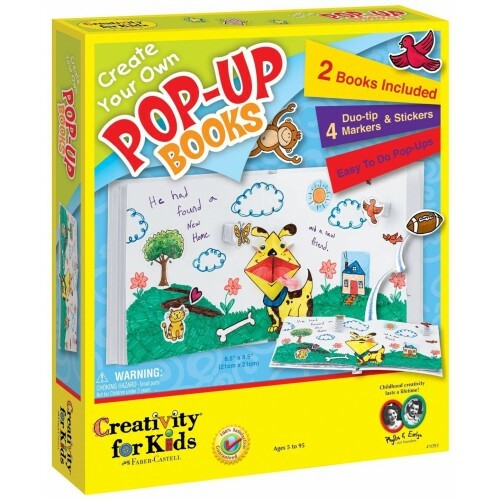 Includes a 40" x 28" fold-out U.S. map, activity booklet and 12 markers. 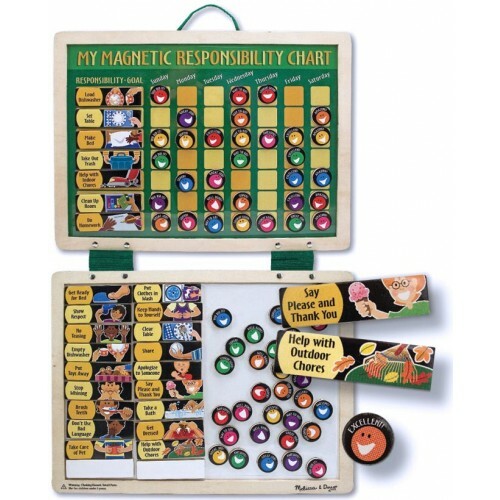 Help kids keep track of their responsibilities -- and understand the connection between their chores and rewards -- with this magnetic chart from Melissa and Doug! This chart includes options for regular chores like cleaning rooms, washing dishes, and doing homework, as well as important habits like saying please and thank you and apologizing when you make a mistake. This kit includes a magnetic board and a dry-erase board, plus 90 magnets showing tasks and rewards.